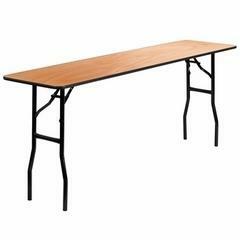 The seminar table is 6' long by 18" wide table. Standard tables are 30" wide. Great for use in areas where space is limited or for business seminars.